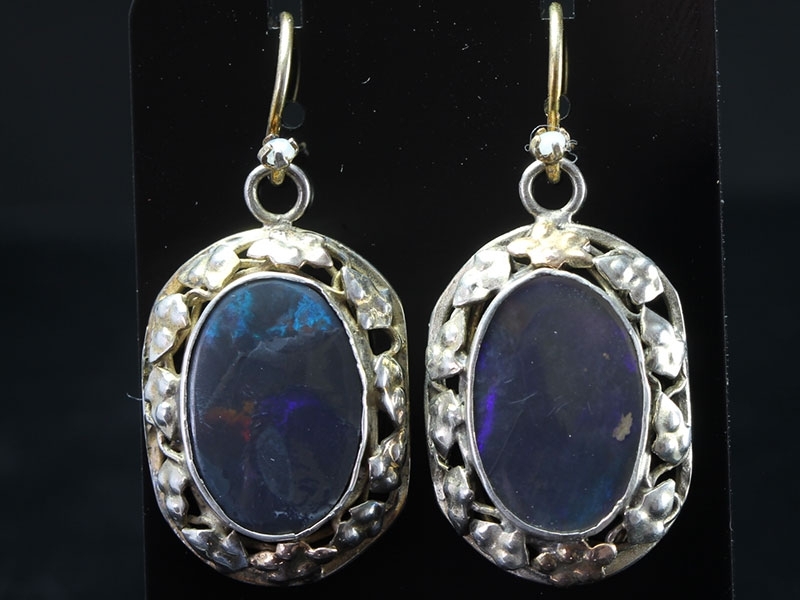 Arts and Crafts Black Opal Silver and Gold Earrings Circa 1900s, a rare find. 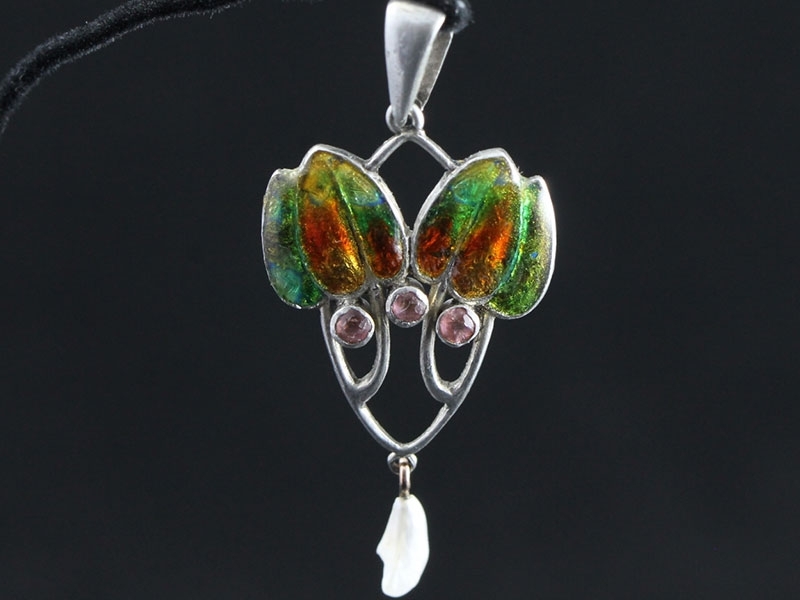 Each Opal weighs 3.78 carats with an impressive total of 7.56 carats. 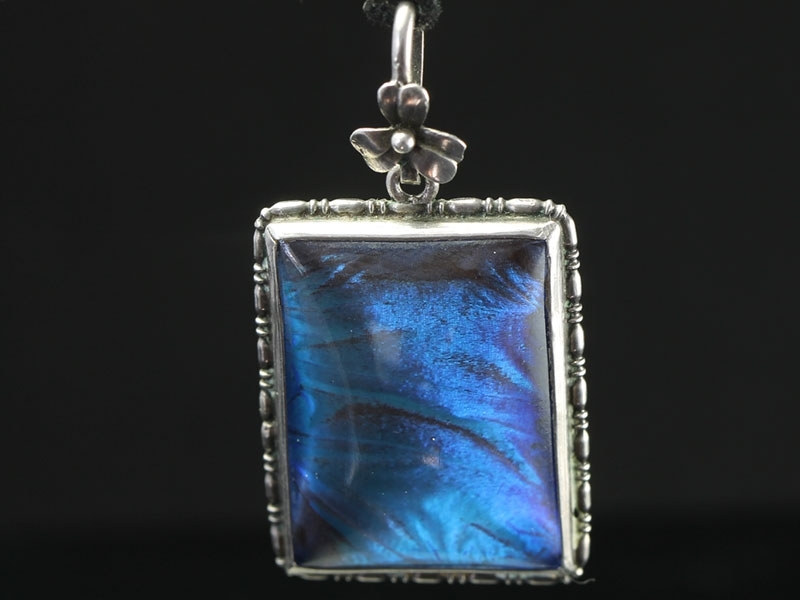 Circa 1920s Silver pendant capturing the gorgeous, glowing, shimmering shades of metallic blue the majestic Blue Morpho Butterfly! 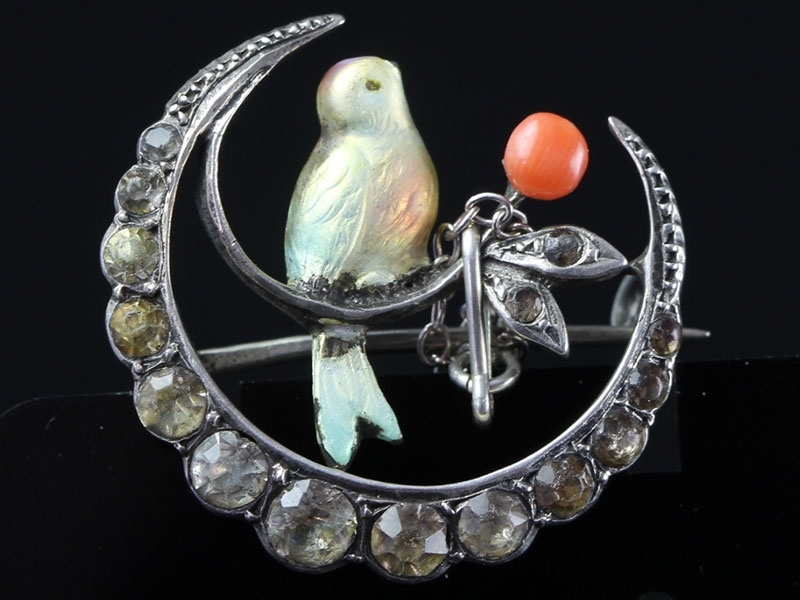 Little birdies don't come any lovelier than this charming chickadee, perched in a moon crescent, dressed in shimmering iridescent feathers of blue, orange and green Plique-a-jour. 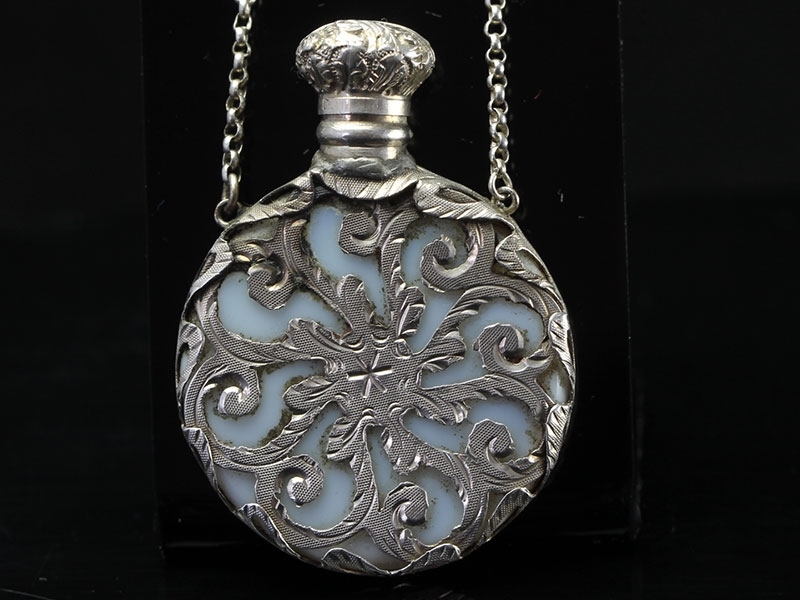 Hand crafted in Sterling Silver, this perfume bottle probably originally hung from a chatelaine, but now could easily be enjoyed as a fantastic pendant. The bottle has a fully functioning top with original stopper and when you unscrew it a whiff of scent still ventures out. 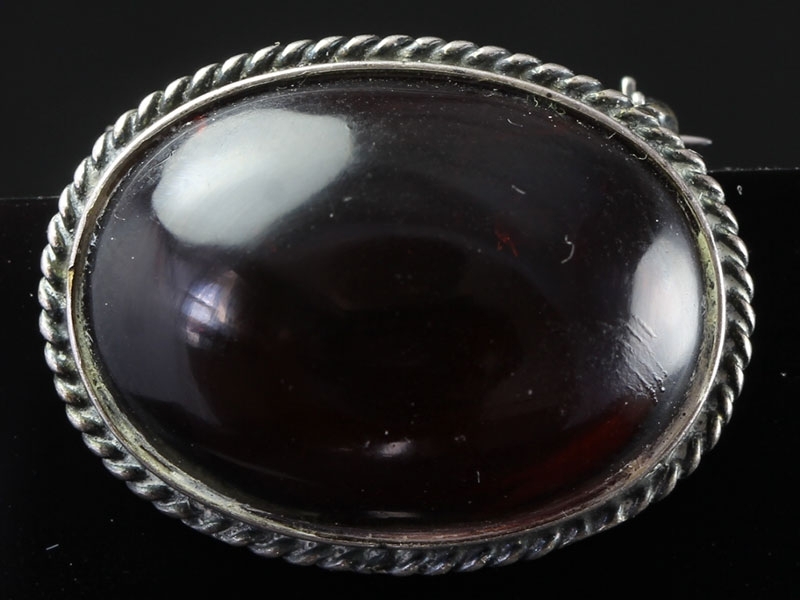 This is a Victorian traditional item of sentimental Scottish jewellery, Circa 1900. Amber is an organic gem. Like pearls it owes its origin to something that was once alive. 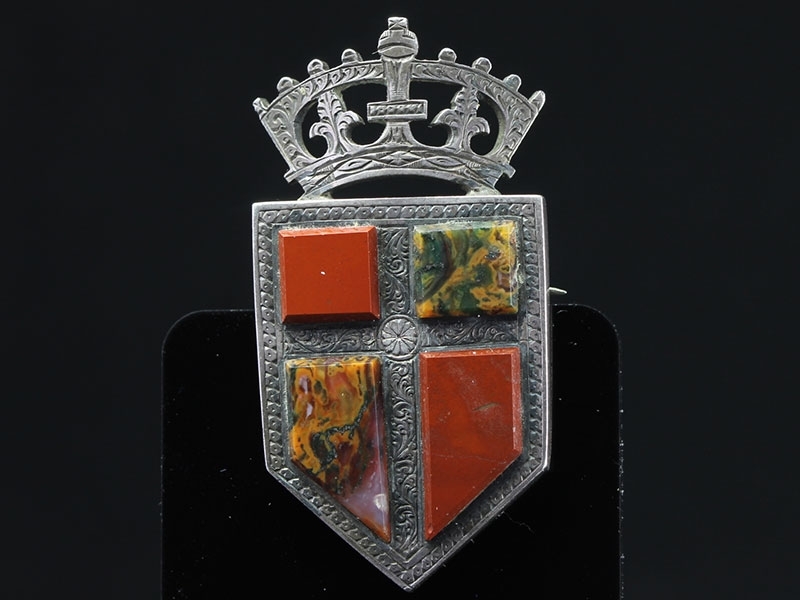 Each piece of Amber is unique and has a wonderful texture which is warm and pleasant to the touch. 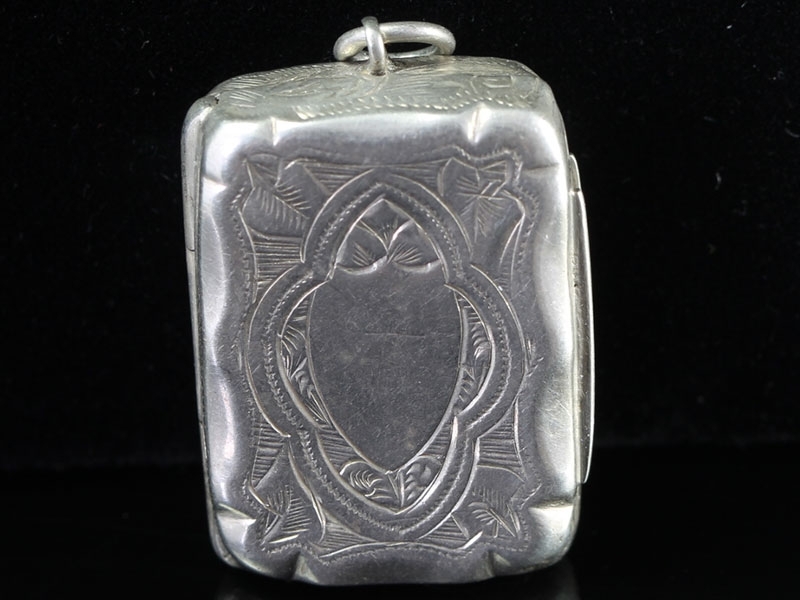 A superb early Victorian book vinaigrette with a stunning floral pierced grille, engraved decoration to spine, and vacant cartouche. Engine turned lids, gilded inside. A sought after collector's item. 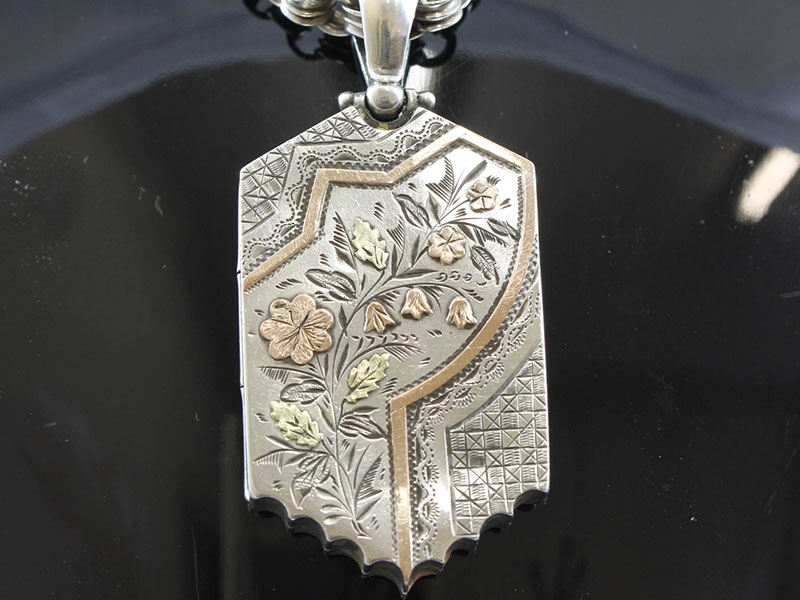 This wonderful, distinctive and unique Edwardian Locket and Collarette was handcrafted exclusively with Scotland in mind and is collected by jewellery lovers across the UK and overseas. 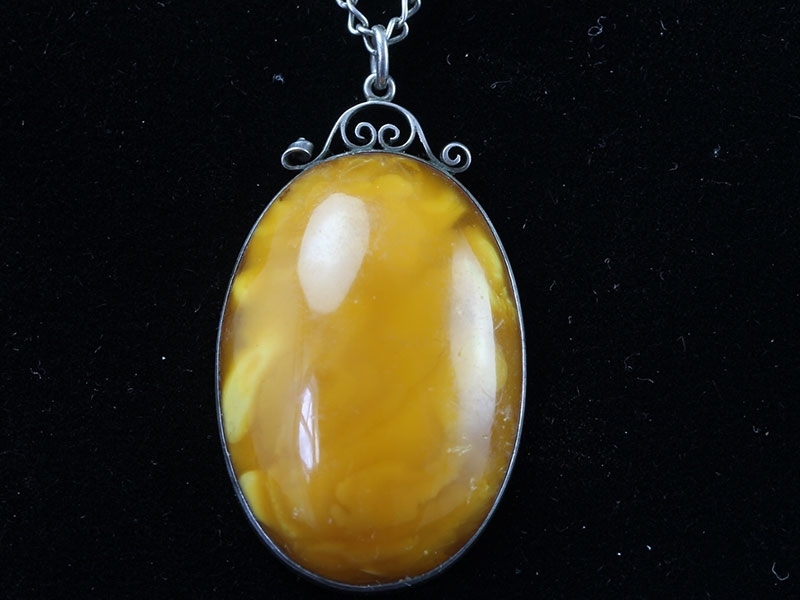 Amber is known as "Gold of Baltic Sea" formed over the millions of years. 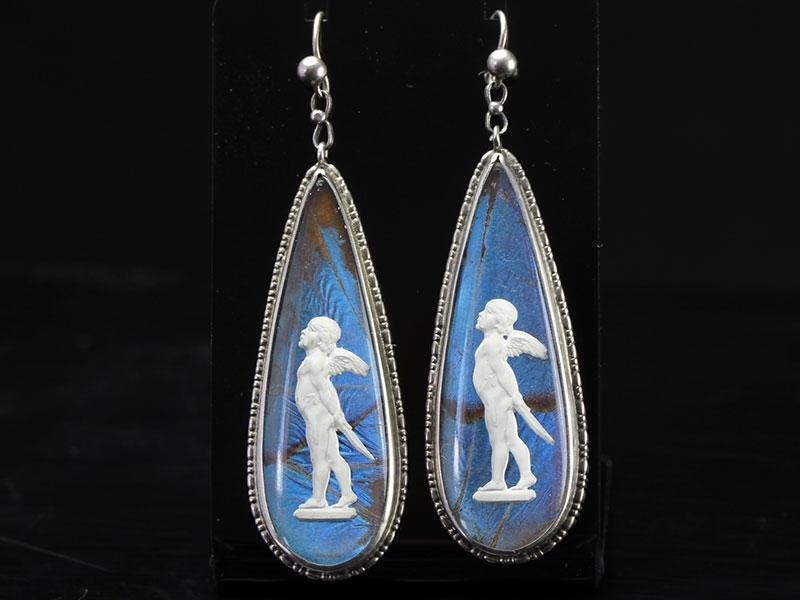 Amber stone is a piece of art made by Mother Earth with unique inclusions and "bumps", which means no two are alike. An enchanting bouquet of iridescent amber, orange and green shimmers from the six petals of this exceptionally lovely tulip flower. All parts are original and in extremely fine condition. 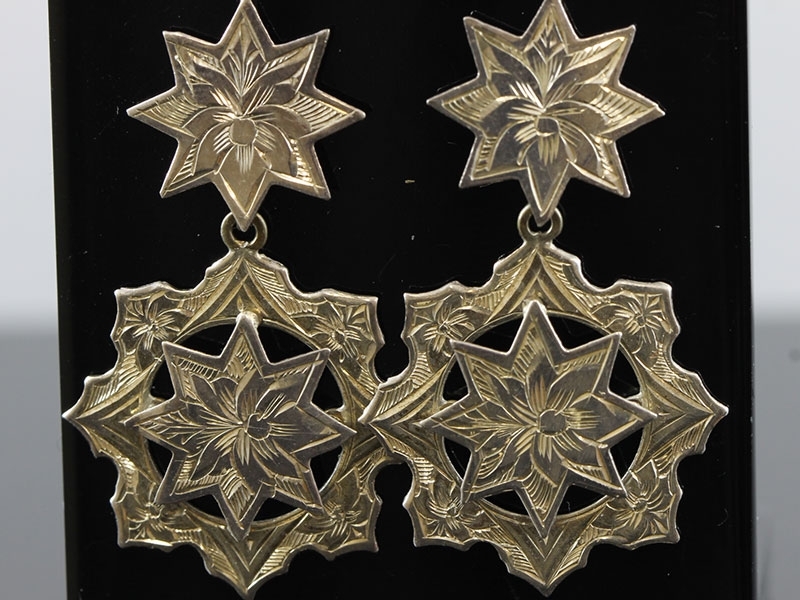 Fantastic example of the Victorian Aesthetic Movement, Sterling Silver drop earrings, embossed with a floral motif. 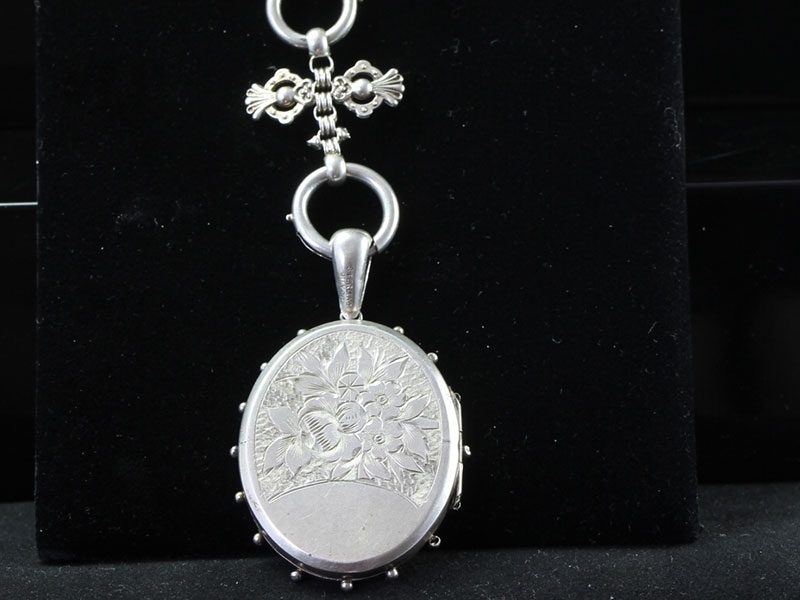 A very beautiful and distinctive Silver and Gold locket with chain, simply eye catching. 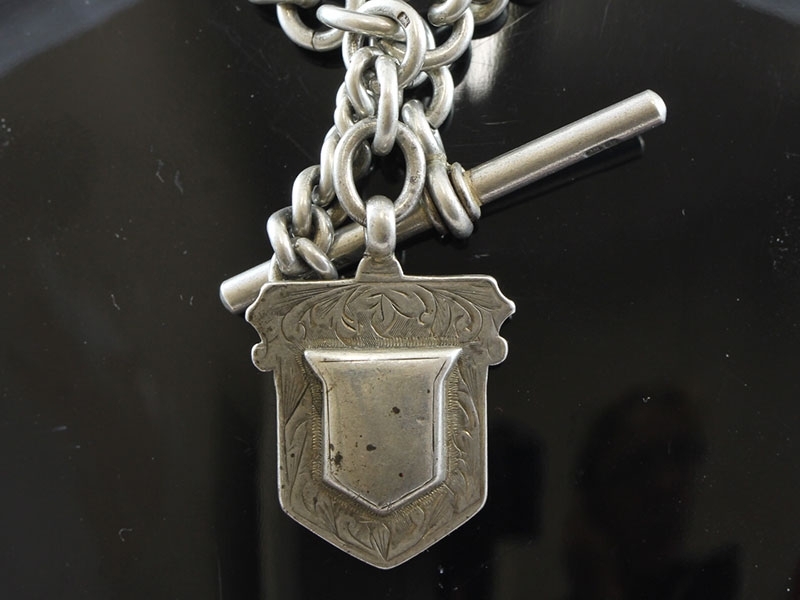 Edwardian Silver Double Albert Watch Chain T-Bar and Medal, steeped in English history. 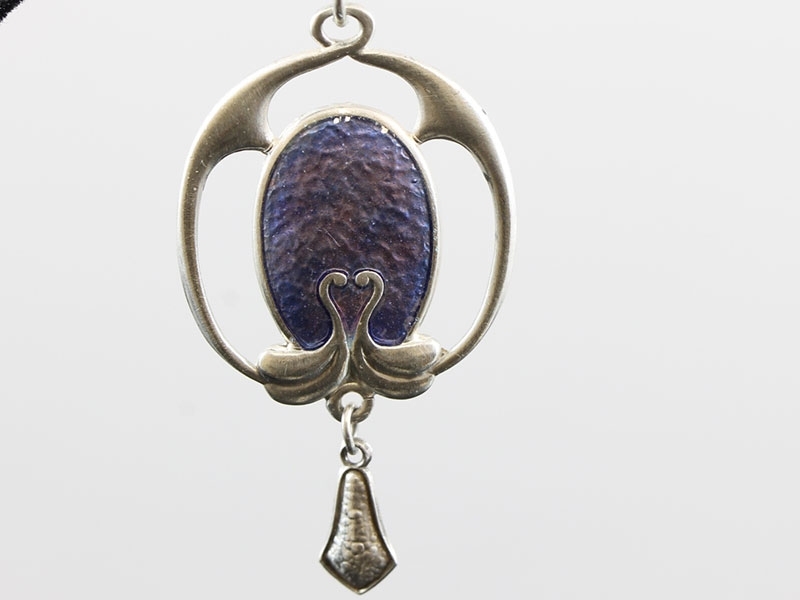 An instantly recognisable piece of Art Nouveau jewellery by the highly collected designer Charles Horner. 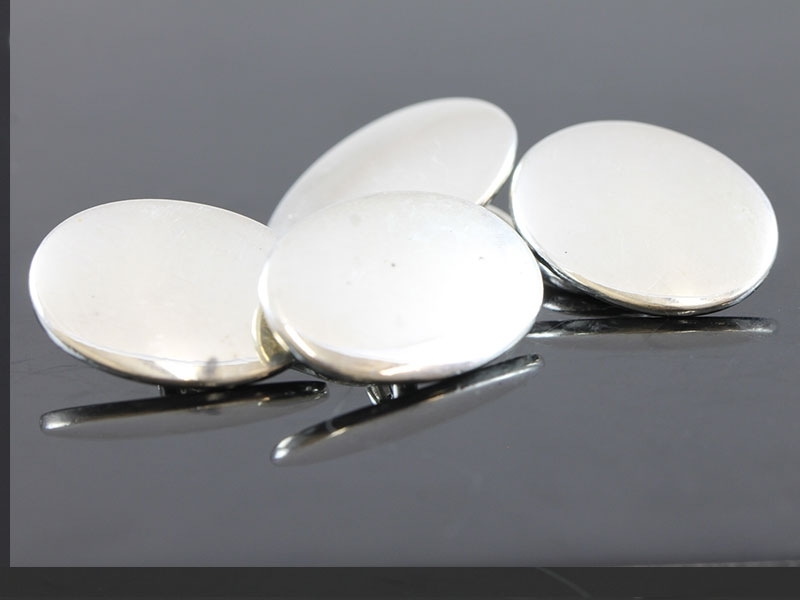 A classic and sophisticated choice, great for a birthday or Christmas gift. 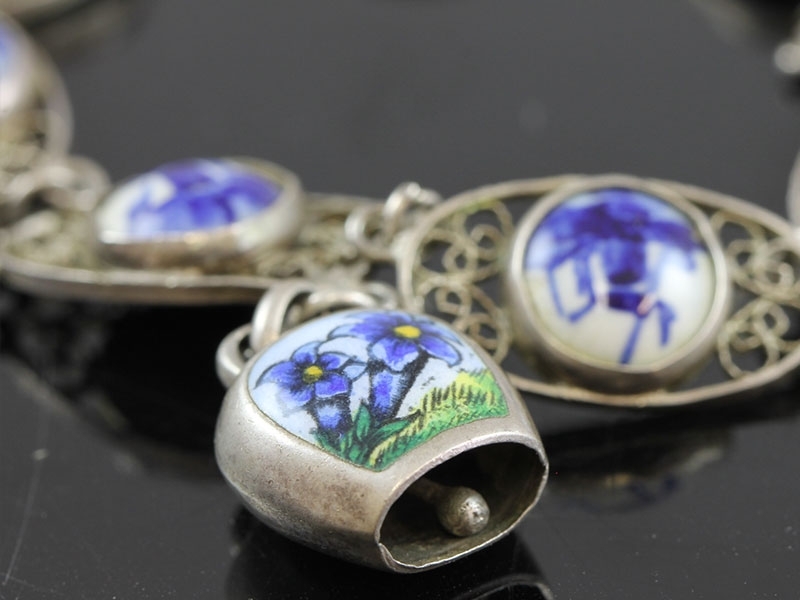 A beautiful vintage silver Delft hand painted porcelain paneled bracelet, complete with a cow bell, simply a delight! 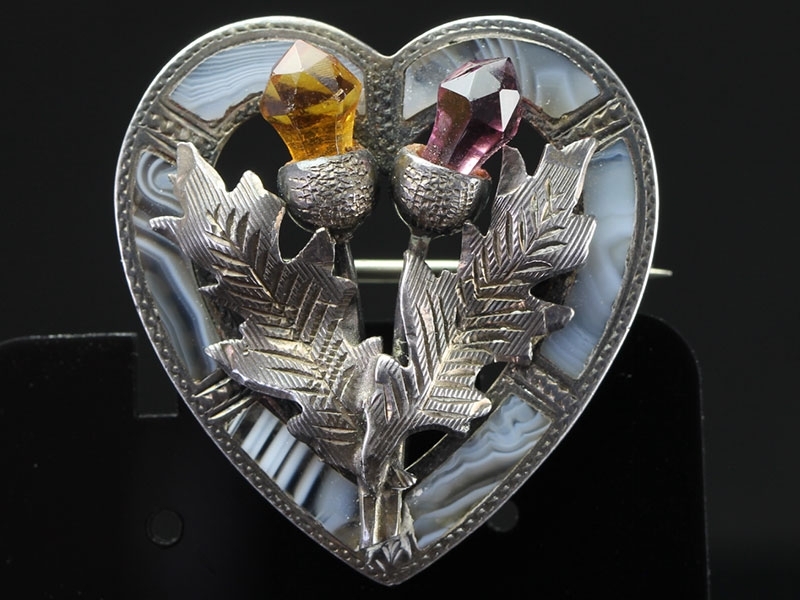 This is a beautiful antique silver brooch with a secret locket compartment at the back. It dates Circa: 1880/90. 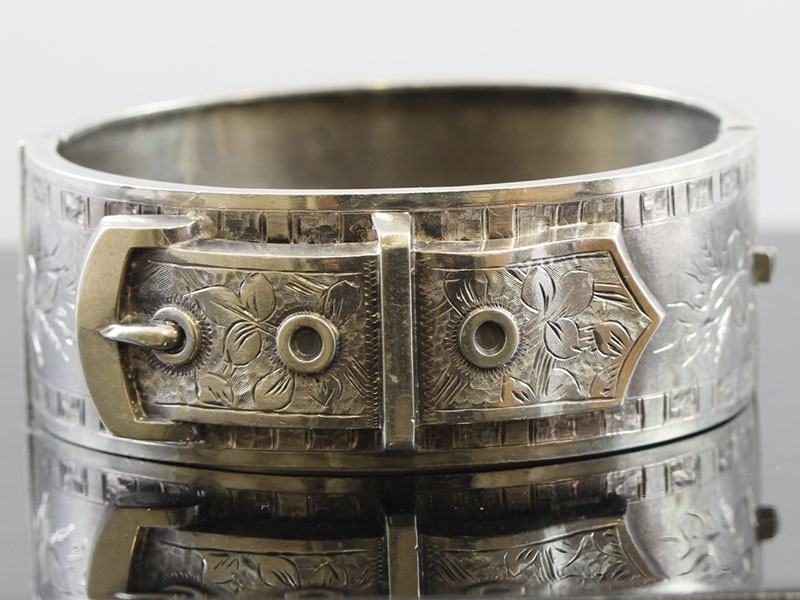 A well proportioned and detailed silver bangle. 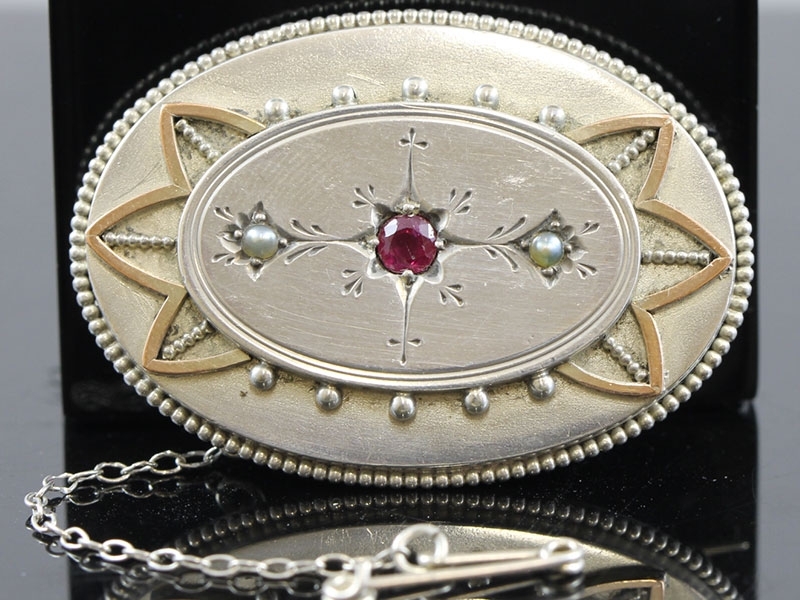 The buckle design literally means “You are bound to me”! !